The Nissley family has been farming in the fertile Lancaster valley near Mount Joy since 1795. With a rich history in agriculture, farming and cattle is seemingly in the brothers Darwin and Bernard’s blood. Darwin and Bernard Nissley operate the cattle feeding operation, Nissley Brothers Farm where they feed and finish approximately 1,250 head of cattle per year. In addition to the cattle they purchase and feed to finish weight, the Nissley’s farm around 450 acres of Lancaster County farm ground, allowing them to feed grains and hay that they harvest. In 1983, the brothers joined together to form what is now Nissley Brothers Farm. Initially renting the farm from their father, they had the opportunity to purchase the 150 acre farm in 1992. With the purchase of the farm, the Nissley’s also began doing improvements to the operation. Starting small, allowed for big growth for the brothers. In 1997 they were able to construct a new slatted floor feeding facility with a capacity of 500 head. Not only did the new barn allow for increased production, it also helped the brothers to make improvements to cattle comfort, air quality and be better stewards of their land. Darwin, the former Chairmen of the PA Beef Council board says it's important that we produce a high quality product for the consumer. Quality beef is one that is healthy. He adds we must continue to be good stewards of the land for future generations. 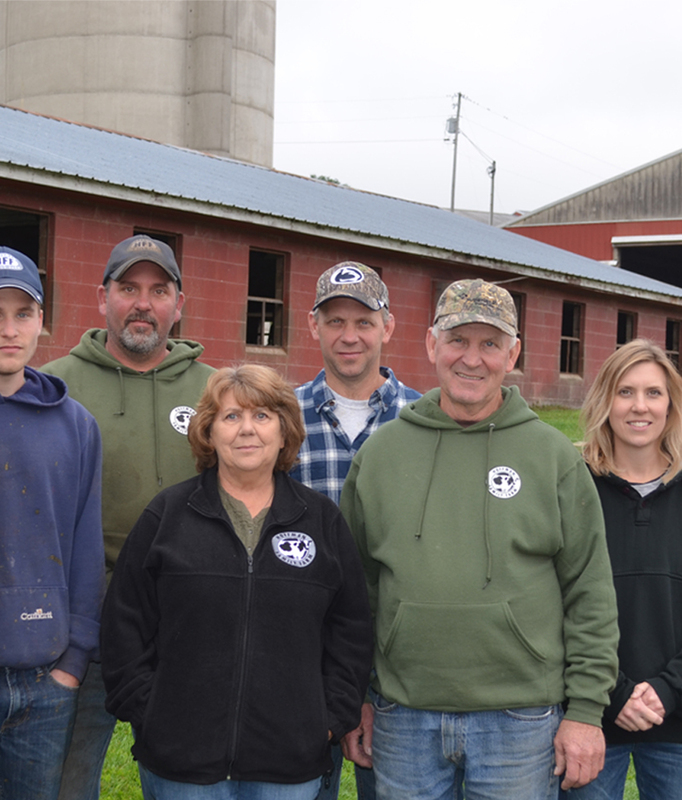 Hoffman Farms is operated by a full team of dedicated family members. Founding farmers, Dale and Carol Hoffman along with their children and several grandchildren operate the dairy in Potter County, PA.